How can any teacher or anyone with a pre-existing condition vote for this man? Driver stole about $50,000. He eventually negotiated a sentence of only 3 years probation. It was an incredibly sweet deal since it protected his $62,000/year pension and his free healthcare for himself and his family. This is what Ken Paxton is going to do. 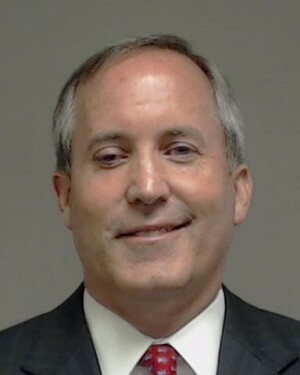 In 2015, a grand jury indicted Paxton on three criminal charges: two counts of securities fraud (a first-degree felony) and one count of failing to register with state securities regulators (a third-degree felony). His trial has been delayed till after the election. If Paxton is convicted you can bet he will pull a Joe Driver to protect his $55,000 pension and his free healthcare provided by you, us, me, the taxpayer. Elected officials receive a pension based upon the salary of a District Judge, $158,000 even though Representatives and Senators are not full time positions. Based upon his service of 15 years Paxton would receive atop $55,000/year and would have healthcare for life for himself and his wife. Health care costs soared Monday for many retired educators on the state-subsidized insurance plan, with families now facing $1,000 monthly premiums and out-of-pocket costs rising across-the-board. The attorney general, as he made clear in the court filing, wants a federal judge to end the act's protections for Texans with pre-existing conditions, regardless of whether the court rules against Obamacare as a whole. It's enough to make you sick. Literally.